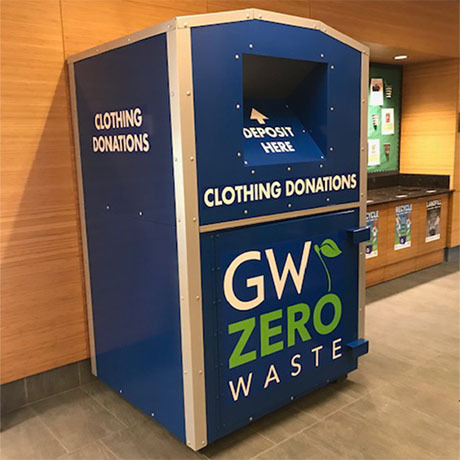 Zero Waste Team has helped GW advance their zero waste goals by diverting clothing, bedding, and other textiles from the waste stream all year long. 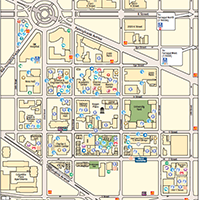 GW has four permanent collection locations across the Mount Vernon and Foggy Bottom Campuses. Currently donations collected in these bins get donated to one of the following charity partners: Community Recycling, Love & Light, and Greendrop. Green Move-Out is the second initiative and occurs at the end of the spring semester. During this period students donate thousands of pounds, diverting them from our waste stream and putting them into the hands of those who need it most.